Tesla Inc. formerly known as Tesla Motors is the company which produced world's first electronic sports car in 2008 and became famous for its luxury sedan SUV's afterward. 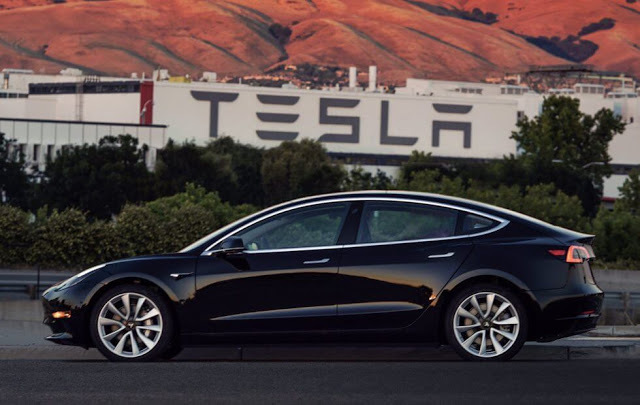 On March 31, 2016, Tesla unveiled its Model 3 which is said to be Tesla's third-generation car. After unveiling event, Tesla reported 373,000 reservations which will bring about $14 billion of fortune for the company. Tesla Model 3 is an all-electric car with a range of at least 350 kilometers (215 miles per charge). Its limited vehicle production began in July 2017. The deliveries, however, will begin in second half of 2017. "Production Unit 1 of Model 3 is now built and going through final checkout", Elon Musk, founder of SpaceX, tweeted and also posted pictures of the new Tesla Model 3.